All Products > "B-JS-9201H/2-4G Joysway X-Blaze Super Brushless RTR 2.4GHz"
Imagine the X-Blaze with increased power, bigger aluminium anodised turn fins and smartly topped off with a brightly coloured red hull. Voila! 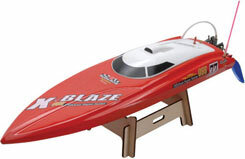 Joysway present the Super X-Blaze, a racing boat that certainly lives upto its name. 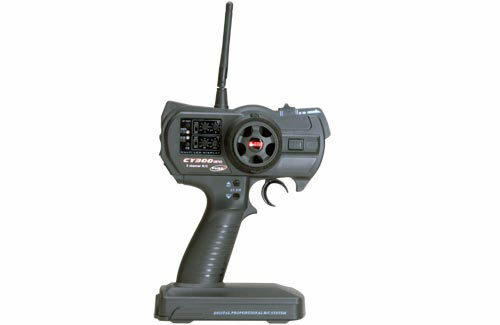 Sporting a Brushless motor regulated with a 90A ESC along with factory installed 2.4GHz, all that the nautical enthusiast will require are two 7.4V 3700mAh Li-Po packs and a large enough pond to cater for the 85+km/h.